Youth meet every Sunday and Wednesday for Biblical training and encouragement. Sunday worship time is 10:00 am with Sunday School at 8:45 am. Sunday evening, the youth have participate in the Discipleship Training program at 6:00 pm. 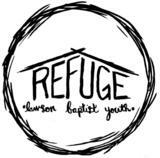 Wednesday night Youth meet at the church at 6:30 pm for a time of Worship, Bible Study and Activities. We also have several activities throughout the year (Spring Retreat, Mission Trip, etc...). So come and join us and be a part of a local active Youth Group. For more information, please contact Jacob Gamber.